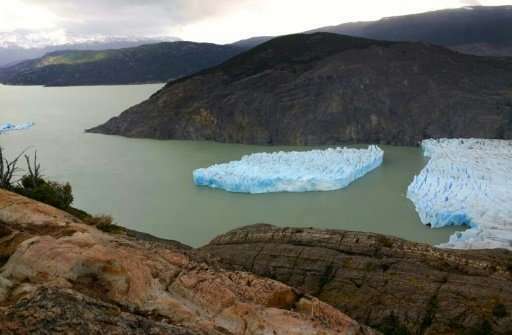 The recent calving of a large iceberg from a southern Chilean glacier threatens local ship navigation and could result in flooding for costal communities, experts said. An iceberg measuring some 350 by 380 meters (1,150 by 1,250 feet) broke from the Grey glacier in far southern Chile in late November. The size of the break surprised local scientists who monitor the glacier. "Events like this are part of a short-term irreversible tendency" due to rising global temperatures, said Raul Cordero, a climate change expert at the Universidad de Santiago. 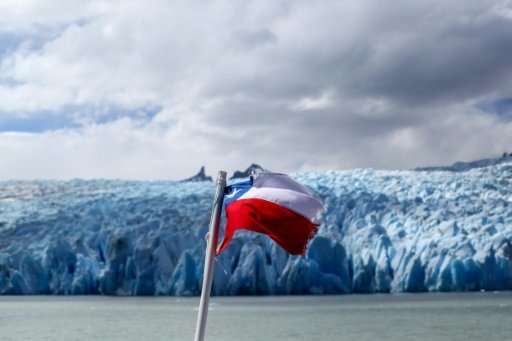 The iceberg now seems like a large chunk of ice, "but it will become a threat" since it will move out to sea and break up into smaller pieces, said Ricardo Jana, a glaciologist at the Chilean National Antarctic Institute. Given its size, the smaller icebergs likely to break off can create problems for area navigation, Jana said. The icebergs will also contribute to a rise in the sea level, "putting coastal communities at risk for possible flooding," Jana said. The Grey glacier is located at the Torres del Paine National Park, some 3,200 kilometers (2,000 miles) south of the capital Santiago. Over the past 30 years the glacier—now measuring some 270 square kilometers—has lost about two square kilometers of ice. The glacier is part of the Southern Patagonia Ice Fields, the third largest land-based ice field after Antarctica and Greenland. The Ice Fields straddle southern Chile and Argentina. "The icebergs will also contribute to a rise in the sea level"
It was a glacier. That makes it land ice and, yes, it will contribute to sea level rise.